Currently, Washington state has one of the most permissive felony DUI laws in America. King County Senior Deputy Prosecutor Amy Freedheim is currently working to change that. In her 17 years of experience working with vehicular homicide, vehicular assault, and felony-DUI prosecutions in her county, Ms. Freedheim has identified an issue with our current DUI sentencing laws. She believes that amending our current felony DUI law would make Washington residents safer. SB 5037 is a bill that has been introduced in Washington state that would make driving under the influence a felony on the 4th DUI within ten years. Under current law in Washington state, a driver who is caught behind the wheel while they’re under the influence will only receive misdemeanors until their 5th DUI within ten years. Intoxicated drivers who injure or kill another person can already face felony charges for vehicular assault or vehicular homicide in Washington state. The problem is that chronic drunk drivers who have not yet caused an accident must be caught over and over to trigger felony sentencing in Washington state. The bill would also ensure that once a driver has one felony DUI, all future DUIs would be felonies as well. The hope of lawmakers is that this would discourage people who have already have a felony on their record from continuing their reckless behavior. While the bill reduces the number of times a DUI driver can be caught without facing felony charges, it reduces the seriousness level from a level V to a level IV for sentencing purposes. This means that while the average felony DUI offender currently faces 22-29 months in jail. under the new proposed law, they would be facing only 13-17 months in jail. Incarceration would be followed by 12 months of supervised community custody. This reduction in sentencing time is designed to save money for the Department of Corrections and create a system of punishment that ramps up gradually in severity for repeat offenders. That’s not the only way in which a tighter limit for non-felony DUIs may actually help offenders to seek treatment instead of remaining in jail. While misdemeanor DUIs come with hefty mandatory fines and fees in the Courts of Lower Jurisdiction, felony DUIs do not come with those expenses. Lawmakers hope that this would help felons put more money towards treatment of their drug or alcohol problems. Last year, the bill passed in the state senate, but failed to make it out of committee in the house. 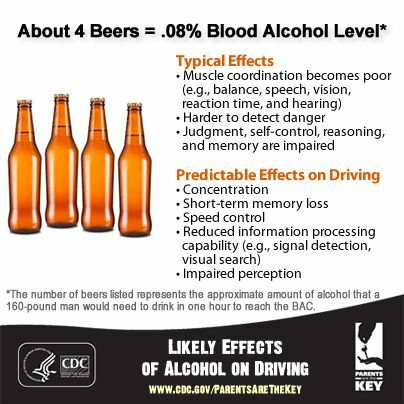 What can you do to help stop drunk driving? If you’d like to help get SB 5037, call or write a letter to your state senator’s office and let them know your thoughts on the bill. To find yours state senator’s phone number and mailing address, visit the Washington State Legislature’s list of senators and search for your district.